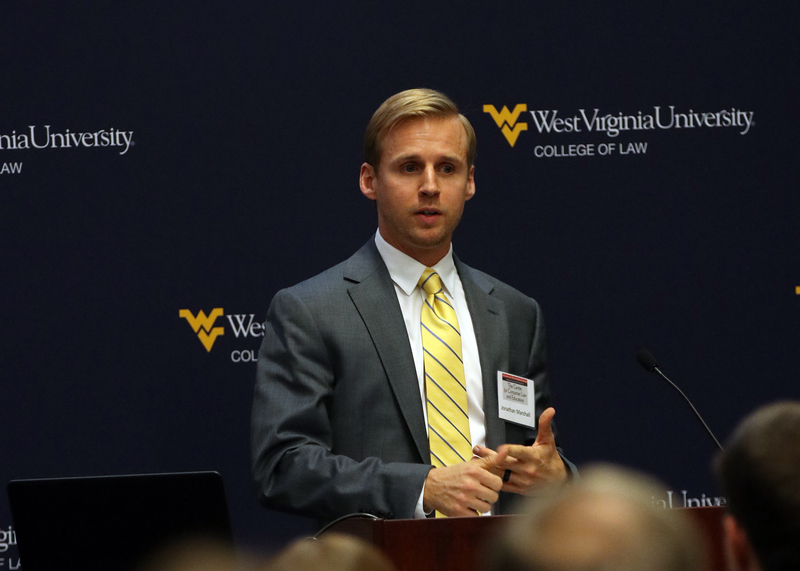 WVU College of Law Dean Greg Bowman speaks at the event unveiling the Center for Consumer Law and Education Nov. 28. The Center is a joint effort between the College of Law and Marshall University. The West Virginia University College of Law and Marshall University have established a one-of-its-kind Center for Consumer Law and Education to build advocacy for those in West Virginia and beyond. 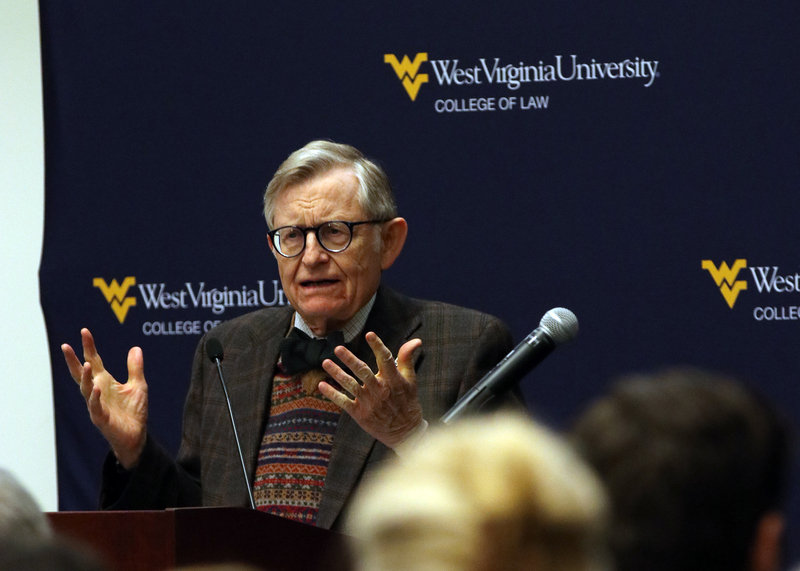 WVU President Gordon Gee speaks at the event unveiling the Center for Consumer Law and Education. Jonathan Marshall will lead the Center for Consumer Law and Education at WVU.